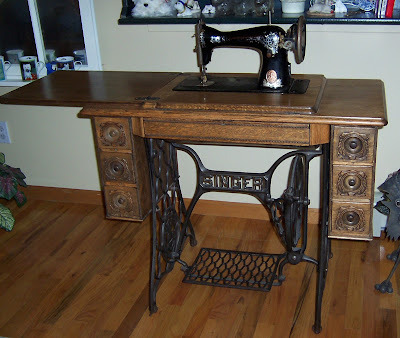 The theme for National Sewing Month 2009 is Reuse, Remake, Restyle. In keeping with that theme, I have a couple of projects I'd like to tackle this month, though I don't know if I'll enter the contest. 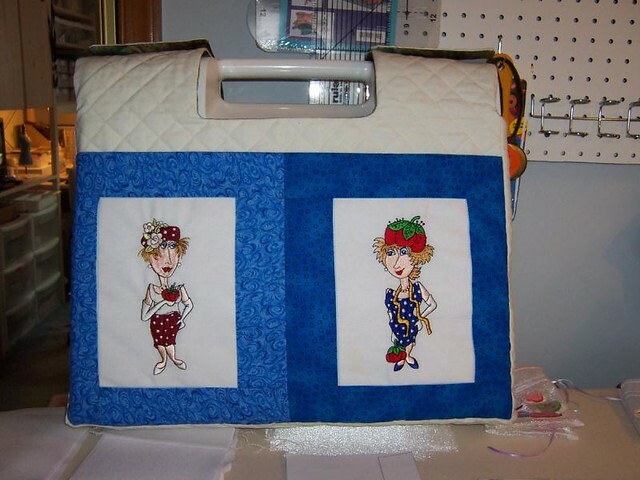 I really like the embroidered Sewing Ladies (embroidery designs from Loralie Designs), which form the pockets on the carrying case cover, but since I rarely take the embroidery arm anywhere, this cover has spent most of its life folded up in a drawer. That's a waste of pretty embroidery, in my opinion, so I decided to take it apart and put the pieces to better use. 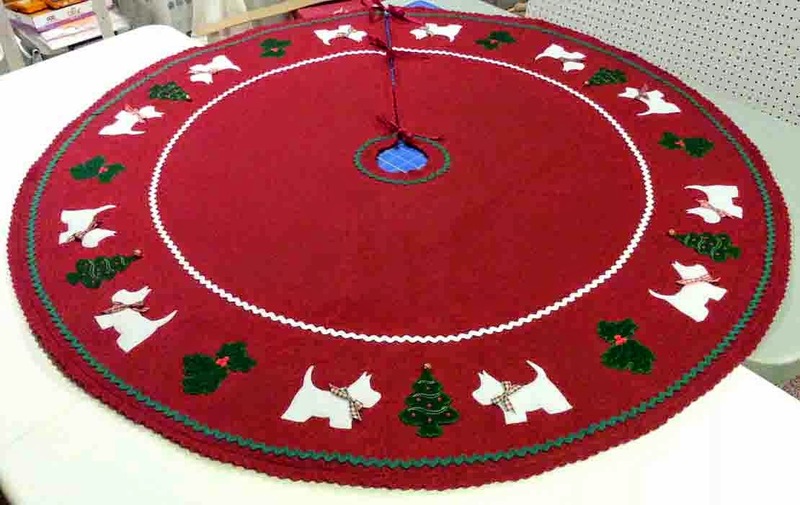 I'm thinking that the individual embroideries might be used to decorate some sort of a storage basket in my sewing room . . . or they may end up on the cover of a laptop sleeve. We'll see. Next, I need a carry-all of some sort for walking and taking the Pesties to the Bark Park. I've been using my Westie Sassy Bag. By the time I stuff it full of leashes, wipes, doggie bags, my wallet and cell phone, it's just too heavy on my shoulder. Plus there isn't room for a water bottle for me or the dogs. 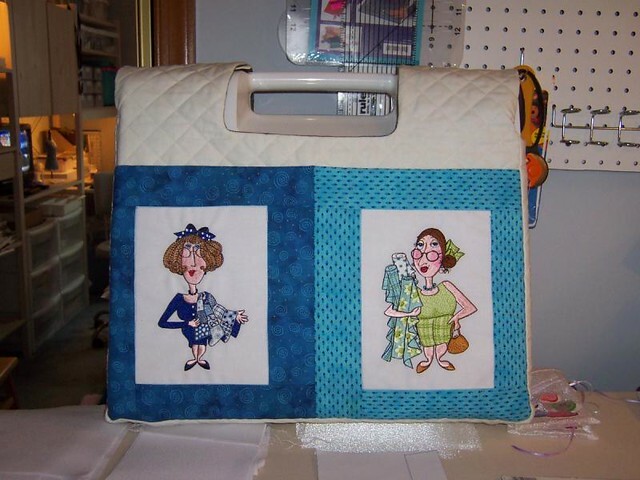 So I'd like to make a larger bag with an adjustable strap to go around my waist. I have a training treat bag from Outward Hound, but it isn't large enough for all my stuff, either. I don't want a fanny pack, so I'm still working on the exact design. I plan to reuse the pile of freebie nylon tote bags we've received from various charities overs the years for raw materials - zippers, handles, etc. I've signed up for an online sewing class at PatternReview.com, All About Set-in Sleeves and Armholes, and I have a few unfinished items and new projects simmering in the planning stage, so I should be plenty busy sewing this month.